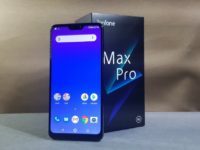 Asus Malaysia today confirmed that the Zenfone Max Pro M2 phone, the successor to their Max Pro M1 will be available for preorders in Malaysia starting on 11 December 2018. Like its predecessor, the Max Pro M2 will bring to the table an affordable price tag, a huge display and a massive battery. Based on earlier leaks, the Zenfone Max Pro M2 for the Malaysia market will most likely come with a 6.3-inch notched IPS LCD that has 2,340 x 1080 pixel resolution and a 19.5:9 aspect ratio. The phone will run stock Android Oreo 8.1 on a Qualcomm Snapdragon 660 octacore processor with 4GB RAM and 64GB of storage. 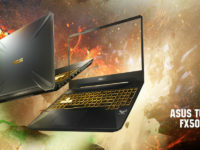 A variant with 6GB RAM and 64GB storage is also stated to exist but its arrival in Malaysia is unconfirmed. The rear comes with a dual camera array that combines a 12-MP F/1.8 primary camera with a high-end Sony IMX 486 sensor and a secondary 5-MP F/2.4 camera that acts as a depth sensor with 4K video capture capability as well as electronic image stabilisation video capture capped at 1080p. The front comes with a 13-MP F/2.0 selfie camera for self portraits along with a dedicated soft light LED flash. Keeping the phone powered is a 5,000mAh battery. Externally, the Max Pro M2 is stated to be available in a multi-layered laminated reflective silver or blue finish over a polycarbonate chassis. 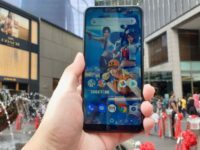 There’s no word on price or any preorder specials as yet but Lazada and Shopee are confirmed to stock the phone when it officially is up for preorders in Malaysia and the phone is stated to be very affordably priced. Stay tuned for more details!